‘Twas the fortnight before Christmas and all through the city, folks were last-minute shopping … and it wasn’t pretty! Their stockings were hung by the chimney with care, in hopes that the ‘shell would have ideas to share! 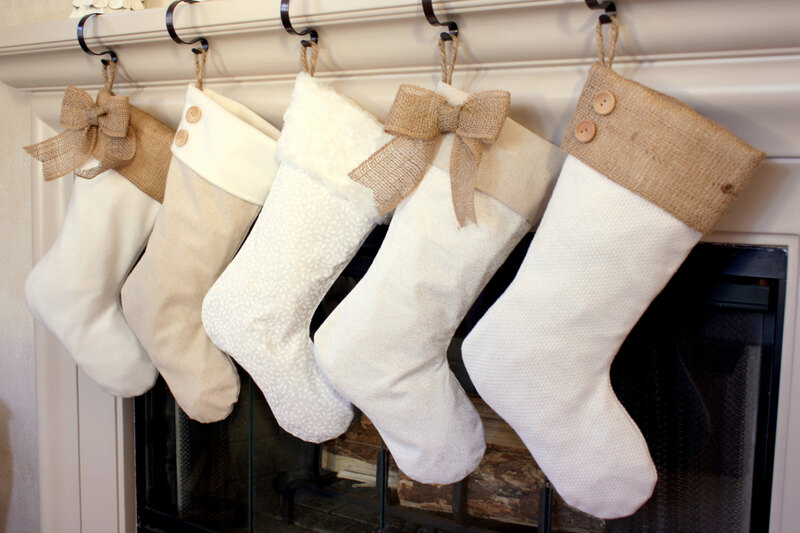 We’re back this year with some ideas to help you stuff those carefully hung stockings! Finding fun little gifts – either useful, thoughtful or just plain funny – makes shopping for stockings my favourite part of holiday shopping. For some people though, it’s finding the small stuff that makes them sweat! 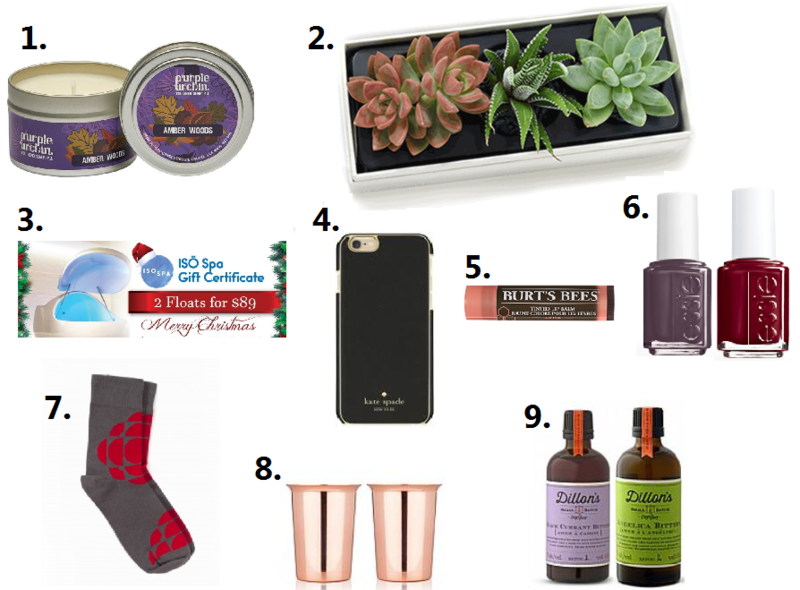 That’s why we’ve created a Stocking Stuffer Gift Guide! This week we feature some fun ideas for her, followed by ideas for him next week, so stay tuned. 1) Mix it up: Stockings are best when filled with a variety of items. Unless you’re six years old, you probably don’t want a stocking filled with candies. A nice variety of useful, edible and fun gifts will help you build up a great stocking no matter who is on the receiving end. 2) Try to set a budget: Because so many little things are included in stockings, they can often add up. Set a stocking budget – this will help you keep track of what you’ve actually spent on stockings alone! With that said, I usually like to add one gift that is a bit of “splurge” to the stocking but other than that, try to keep items under $20 each! 3) A little local love goes a long way: Remember that every time you buy from a local vendor, you’re supporting a person and a community, helping it to grow and thrive. We’ve added in a few local items to ensure your stocking has some Ottawa flavour. We absolutely love purple urchin! Not only do all of their products smell delish – they are a LOCAL (Rule #3!). This cute candle tin is compact and very affordable! Possilbly the most popular plant of 2016, succulents are EXTREMELY affordable and come in all shapes and sizes. Visit Ottawa’ Farmer’s Market at Lansdowne for $4 succulents that will fit perfectly into a stocking! So this made it on to our list as a splurge – but here’s the catch, this unique type of spa day at ISÖ Spa floatation centre is really a gift for two: two floats for two people (hint: you might be the lucky person that gets to float). Plus, we think this is such a nice gift to give during a busy holiday season – what better way to wind down from the holidays than a long, relaxing float?! Every one loves a new phones case – and few do it better than Ms. Kate Spade. PSA: these are available at winners for under $20! During the cold winter months, there is no lip remedy that I like more than Burt’s. Pick up a cute tinted share for your lady and be sure to have a mistletoe nearby. We love this stocking stuffer idea – just remember that darker shades are best for this time of year. Try Smokin’ Hot Stylish Gray or Red Shearling Darling for wintery shades that she’ll love. What could be more Canadian, eh? A pair of fun socks always bring a smile to her face and when they rep the CBC, well all the merrier. Grab a pair like these at the Drake General Store, in The Bay. What better way to get into the Christmas spirit than a couple of copper shot glasses! Also available at The Bay. And, keeping on theme, we love Dillon’s, an Ontario small batch distillery – and their bitters make for the perfect cocktail. Cheers to Christmas shopping and we’ll be back next week with a guide for him! What a great blog post. Thanks Kate!